Any time is a good time to pay a visit to Monaco. The beaches around Monte Carlo may still be fairly sunny during the winter climate, although are really too cold for sunbathing or swimming in the sea. However, the sun-drenched summer season is always a busy time in Monte Carlo, with fine weather and temperatures rarely staying far from 30°C / 86°F. 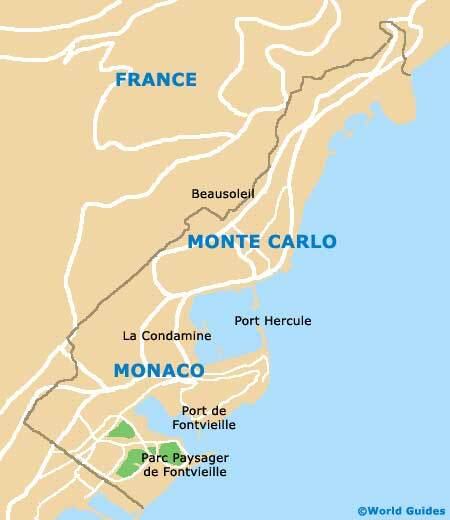 The climate of Monte Carlo is typically Mediterranean in its nature, being mild for the entire year and enjoying upwards of 300 days of sunny weather. Even in the winter months, daytime temperatures hover around 14°C / 57°F or 15°C / 59°F, dropping only slightly by night. The springtime climate of Monte Carlo sees beautiful blue skies and plenty of sunshine, along with the arrival of some very seasonal windy weather known locally as simply 'Le Mistral'. For many, spring is the perfect time to stay in Monte Carlo. The days are warm and sunny, with the shopping streets and gorgeous beaches remaining relatively quiet, before the predictable influx of summer tourists. However, the Formula 1 Grand Prix in May can be a very busy time. Autumn is another favourable time to explore the enticing attractions of Monte Carlo, although opening hours for some may be slightly reduced. The autumnal climate remains warm enough to soak up sun rays on the beaches and enjoy al fresco dining at some of the best restaurants, with reservations being much easier to come by than during the high season.